PVS swimmers finished strong at the 2019 National Club Swimming Association (NCSA) Junior National Championships (March 19-23) in Orlando, Florida. Congratulations to all the PVS swimmers and teams that competed. As you’ll see in the recap below, there were 21 individual events won by PVS swimmers, and only 2 events over the 5 days where a PVS swimmer was not in the final 8. In the team standings, NCAP won the combined team championship with 2474 points, the men’s team championship with 800.5 points, and the women’s team championship with 1673.5 points. RMSC placed 5th in the combined team standings with 793 points, 2nd in the men’s team standings with 659 points, and 19th in the women’s team standings with 134 points. Machine Aquatics placed 8th in the combined team standings with 610.5 points, 7th in the men’s team standings with 384.5 points, and 12th in the women’s team standings with 226 points. AAC was 14th with 371.5, Snow was 19th with 223, Mason Makos were 21st with 211, York was 35th with 89 points and All Star Aquatics didn’t score in the overall but was 52nd in the men’s with 45 points. However, it should be taken in consideration that the NCAP is the largest swimming team in the USA! The NCAP men’s team had championship with 800.5 points and 35 male swimmers! The RMSC men’s team had 659 points and 25 male swimmers. Thus, NCAP had 22.87 points per male swimmer, and RMSC -26.36 point per male swimmer! Thus, at NCSA competition, RMSC had a stronger point efficacy per male swimmer then NCAP! Lol, Mrs B. Love it. We should make shirts and trophies for the boys: “Higher point efficacy per male swimmer then NCAP.” So true. Take it easy up there. I have a question for NCAP or RMSC parents… but first I would like to thank the editors of Reach for the Wall for providing such useful information. My child’s PVS team is a small team and does not offer traveling to these Orlando, FL meets. I am planning to change to either NCAP or RMSC to give my child more opportunities that the bigger clubs offer. Swimming has become a passion for my child and this year in the PVS 14&U Championship my child was ranked about top 20 in all 6 strokes participated. Can you parents, give me feed back about your experience going to the Orlando, FL meets? Do your teams travel together via bus or plane? Costs? Any locations you recommend within your club team? What positive thing would you say about your club? Usually teams are traveling by plane. Traveling cost for NCSA meets are really affordable. 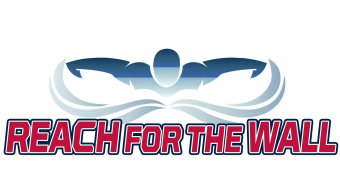 RMSC swimmers have sponsors in Eaton Foundation to cover the significant part of travel costs for the NCSA meets. Likely that some other PVS teams have some sponsors as well. Both NCAP and RMSC are great teams – young swimmers from both teams have a lot of great accomplishments including NCSA championships, National team and Olympic trial qualifiers and others. I believe that NCAP registration and annual fee is a little higher then in RMSC, but you have to call and check this information! Good luck!! !